Ahh is so good to be HOME!!! I love spending time away but is always so good to return to your own surroundings and sleep in your own bed (heaven). 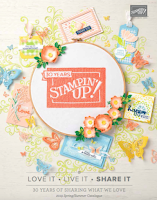 I mean talk about traumatic times LOL<>Before I lefy for my jolly I got to play with one of the new scrapping kits from the new catalogue, and oh my goody is delish. I took 20 minutes to whip those cards and little box up and 45 min to whip the cracker up LOL> In all fairness I was making it happen as I went along so I kinda had a lot of figuring out to do first. It looks so very gorgeous and is so easy to work with. I am actually ordering another one for that last minute panic on Christmas Eve, when I realize number 24 have sent us a card this year and we didn't. All festive colours that you can't go wrong with and don't even get me started on the scrapbook pages I am going to make for my mum and my sister featuring our very own star Luca. Now is been a while since I posted a cake and the week before I left for my holiday I had 2 Christening cakes to finish and boy was I stressing about it, it was when I managed to get that virus that affected my joints so it was a bit hairy at times but I managed to finish them in time thank goodness, and here 's one of them. Your cards etc are wonderful. Such beautiful papers. Just adore the cracker! and the cake WOW how beautiful is this. and it sounded yummy too. I love Simply Scrappin' kits! 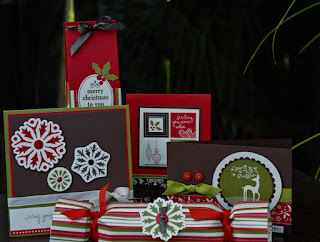 They look beautiful and work up quickly into cards, projects or scrap pages. Your cake is fabulous as usual! Welcome back......just love the little baby on the cake that you've made and the card is just sooo cute where do you find the time??? Oh it's so nice to have you back Monica, just loving your cards with the scrappin kit, I think these kits are amazing and sooo easy to use! 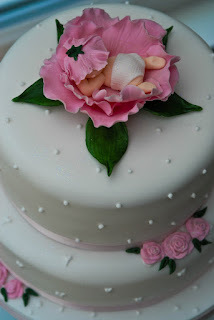 And for the cake, well what can I say, I wish I had your talent, it's just adorable! 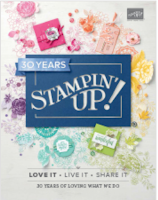 I love those new stamps from the new catalogue, especially that deer with the swirly antlers! Thanks for the sneak peak - can't wait for the new catalogue - not long now I hope? Wow that cake looks so professional and tasty! Wow...your projects are absolutely beautiful Monica! Love that cake too...tfs!!! Love what you have done with this kit hun. What beatiful stuff - did we see some of this at the demo on Monday? I think we did. You are SO busy, just how do you find time? I LOVE that cake and the wee baby cards - it's great to have the teddy on the pram and I love the wee bunny rabbit. (Oh and thanks for visiting my blog - much appreciated, especially as you are so busy). Not only are your cards fab ya cakes are brill how on earth would anyone want to tuck into that! !